Festival of Lights Yountville is magnificently illuminated at its 21st annual event as Washington Street is closed to traffic—with the exception of horse-drawn buggies—for this open-air festival. Costumed caroling characters, Santa's arrival and food booths provided by area restaurants complete the evening's glitter. Friday, Nov. 26, 2&–8pm. Downtown Yountville, Washington Street. Free; food and drink tix, $1. 707.944.0904. Heart of Sonoma Valley Open House Heart of Sonoma Valley Association kicks off its 27th annual open house celebration this year, showcasing 23 Sonoma Valley wineries, including Blackstone Winery, Chateau St. Jean and Kenwood Vineyards, among many others. Friday&–Saturday, Nov. 26&–27, 11am&–4pm. $40 per person both days; $20, designated driver. 866.794.9463. www.heartofsonomavalley.com. Napa Christmas Parade Don mittens and scarves for the 47th annual parade through downtown Napa. Grand marshals Roger Bubel and his wife, Michal Farrell, co-owners of Ben and Jerry's in the Napa Town Center, kick off the night of illuminated parade entries, musical entertainment, free hot chocolate and a visit from Santa. Saturday, Nov. 27 at 5pm. First Street, downtown Napa. Free. 707.257.0322. Handmade Holidays The h2hotel and Healdsburg design studio notion:creative join together to deliver a guide on creating holiday gift tags, note cards and collages from reusable goods. Materials will be provided on site, though guests are welcome to bring their own. Saturday, Nov. 27, from 5:30pm to 7:30pm. h2hotel, 219 Healdsburg Ave., Healdsburg. $30. 707.431.2202. Holiday Celebration Downtown Windsor plays holiday host with its annual celebration, which includes horse-drawn carriage and trolley rides, children's crafts and a visit from St. Nick, and the woman behind the man, Mrs. Claus, when they light the tree on the town green Thursday, Dec. 2, 5&–8pm. Free. 707.838.1260. Light Up a Life St. Joseph's hospices help to honor lives lost with annual candle- and tree-lighting ceremony. The Hospice of Petaluma has its ceremony on Friday, Dec. 3, at 7pm, Center Park (the strip of trees outside McNear's and the Mystic Theatre on Petaluma Boulevard South), Petaluma. Santa Rosa tree lighting events will be held on Thursday, Dec. 2, at the Lodge at Paulin Creek at 6:30pm; Saturday, Dec. 4, at 6pm, Railroad Square; and Sunday, Dec. 5, at 6pm, at the Star of the Valley Church at Oakmont. A light can be dedicated to a loved one with a $10 donation. Events free. 707.778.6242. Napa B&B Tour & Taste Event Go on a B&B crawl in Napa as a host of inns opens for the day for sipping select wines from the area. Transportation and entertainment included. Saturday, Dec. 4, 2&–6pm. $55 per person. For list of participating hostelries and treats, go to www.napaholidaytour.com. The Blessing of the Olives Blessed be the olives! Olives are sanctified at the Mission San Francisco de Solano, which is open to the public on Saturday, Dec. 4, 10am. Music and refreshments will also be included. East Spain and First Street East, Sonoma. Free. 707.996.1090. Lighted Tractor Parade Celebrate small-town cheer and Calistoga's agricultural heritage at the15th annual lighted tractor parade, featuring a funky lineup of vintage tractors and trucks, human-powered vehicles and modern farm equipment, all decked out in sparkling lights. Santa also makes an appearance. Downtown Calistoga. Saturday, Dec. 4, at 6pm. 707.942.6333. Luther Burbank Open House Step into the spirit of famed horticulturist Luther Burbank as his home and gardens are opened up to the public for a two-day holiday event. Tea and cookies will be served in the greenhouse among the foliage of Burbank's former home. Saturday&–Sunday, Dec. 4&–5, 10am&–4pm. Luther Burbank Home and Gardens, Santa Rosa and Sonoma avenues, Santa Rosa. $2. 707.524.5445. Petaluma Lighted Boat Parade Watch as lights combine with water at the annual Lighted Boat Parade in Petaluma, on Saturday, Dec. 11. The parade commences at the Petaluma marina around 5:30pm and arrives at the Turning Basin around 6:30pm. 707.765.9725. Healdsburg's Downtown Holiday Party An annual tradition as Healdsburg's downtown merchants light up their storefronts and welcome shoppers to a world of holiday wonders. Refreshments, live entertainment and horse-drawn carriage rides add to the festivities. Friday, Nov. 26, 5&–9pm. Healdsburg Plaza. Healdsburg. Free. 707.433.6935. Holiday Arts & Crafts Faire Rohnert Park The recreation department celebrates three decades of fairs with its 30th annual hand-made extravaganza. Friday&–Saturday, Nov. 26&–27, 10am&–4pm. Held indoors at the Community Center, 5401 Snyder Lane, Rohnert Park. Free admission and parking. 707.588.3456. Dance Palace Holiday Crafts Fair This shopping mecca gathers some 40 upper-echelon craftspeople under one roof for some early season shopping. Friday, Dec. 3, 3&–9pm; Saturday and Sunday, Dec. 4&–5, 10am&–5pm. Dance Palace, Fifth and B streets, Point Reyes Station. Free. 415.663.1075. Calistoga Christmas Bazaar Community craft fair offers artisan-made art, crafts, jewelry, ornaments and other treats. Santa will also be there for photographic opportunities. Saturday, Dec. 4, 9am&–4pm. Crafts fair, Napa County Fairgrounds, 1435 Oak St., Calistoga. Lighted Tractor Parade down Lincoln Avenue at 6pm. Both events free. 707.942.4232. Alexander Valley Ladies Aid Christmas Bazaar Wreaths, cookies, jams, one-of-a-kind handmade items, hand-painted ornaments and decorated gourds and a raffle enliven this one-day crafts fair on Saturday, Dec. 4, 10am&–2pm. Alexander Valley Church, 6650 Hwy. 128, Healdsburg. Free. 707.433.4504. Muir Beach Quilters Quilt artists and other artisans gather with handicrafts of all kinds and free activities for the kids. Perfect complement to a day at the beach; free shuttle from Muir Beach parking lot. Saturday&–Sunday, Dec. 4&–5. Saturday, 11am&–5pm; Sunday, 10am&–4pm. Muir Beach Community Center, 19 Seascape Drive. Free. 415.383.6762. Goddess Crafts Faire Winter solstice Goddess Crafts Faire celebrates handmade gifts by local and regional women, as well as live music, tarot readings and food. Saturday&–Sunday, Dec. 4&–5, 11am&–7pm. Sebastopol Community Center, 390 Morris St., Sebastopol. $5&–$13, free for kids. 707.823.1511. A Dickens of a Holiday Crafts Faire Over 60 booths of juried handcrafted goodies, jewelry, household goods, ceramics and lots more. Saturday&–Sunday, Dec. 4&–5. Saturday, 9am&–5pm; Sunday, 10am&–4pm. Finley Community Center, 2060 W. College Ave., Santa Rosa. $2; under 18, free. 707.543.3737. Occidental Crafts Faire Now in its glorious 25th year, this sweet homegrown fair features terrific home cooking as well as unique items. Saturday&–Sunday, Dec. 11&–12, at the Community Center. 3920 Bohemian Hwy., Occidental. Free. 707.874.9407. Dreams of Toyland Dolph Gotelli creates tiny scenes of snowy forests, cozy kitchens and more through the use of miniature fairies, animals and other creatures. His work will be on display Nov. 20 through Jan. 23, with an opening reception on Saturday, Nov. 20, 5:30&–7pm. Napa Valley Museum, 55 Presidents Circle, Yountville. Children free; $5 adults. 707.944.0500. Santa's Riverboat Arrival Santa and Mrs. Claus arrive at the Petaluma Riverfront on board the town's eponymous tug to greet the children and distribute candy canes, followed by a horse-drawn procession through downtown to kick off the holiday season. Saturday, Nov. 27, at noon. Turning basin, Golden Eagle Shopping Center, on Washington Boulevard, Petaluma. Free. 707.769.0429. Bay Area Discovery Museum Blizzard of events for the young ones, with special activities running almost daily, including the Gingerbread Architectural Extravaganza (Saturday&–Sunday, Nov. 27&–Dec. 19; also Dec. 21&–23. Pre-registration required online. $30) and Kwanzaa celebration on Sunday, Dec. 26, 11am&–1pm. Free. Discovery Museum, Fort Baker, 557 McReynolds Road, Sausalito. 415.927.0960. 'A Christmas Carol' Consider this play a primer for morality for the young ones, plus an introduction to the fine display of a master storyteller's imagination in Sonoma County Repertory Theater's production by Charles Dickens, adapted by Jon Tracy. Runs Wednesday&–Sunday, Dec. 1&–5, and Thursday&–Sunday, Dec. 9&–19. 104 N. Main St., Sebastopol. Thursday, pay what you will; family specials available. $20&–$25. 707.823.0177. www.the-rep.com. 'The Winter Rose' Cinnabar Young Rep players present a heart-warming musical based on the Norwegian folk tale "East of the Sun, West of the Moon," in which a young girl raised in a poor family embarks on a whimsical journey and ultimately finds her happy ending. Friday&–Sunday, Dec. 3&–19. Friday&–Saturday at 7:30pm; Sundays at 2pm. Cinnabar Theater, 333 Petaluma Blvd. N., Petaluma. $10&–$15. 707.763.8920. VOENA: Voices of the Season Though each member is under the age of 18, this world-renowned a cappella group has performed at the White House, the Vatican and Carnegie Hall. Over a hundred young stars in this lively group present a multicultural celebration through vocal arrangements, dance and colorful theatrics. Saturday, Dec. 4, at 7:30pm. 5409 Snyder Lane, Rohnert Park. $20&–$25. 707.588.3400. Saturday, Dec. 18, at 7:30pm. Napa Valley Opera House, 1030 Main St., Napa. $15&–$30. 707.226.7372. Posada Navideña The Instituto Mazatlán Bellas Artes de Sacramento present a two-hour music and dance show celebrating the traditions of a Mexican Christmas, focusing on Joseph and Mary's pastorela, or journey, before the birth of baby Jesus. Friday, Dec. 10, at 7pm. Refreshments will be served at a traditional Posada celebration following the performance. Wells Fargo Center, 50 Mark West Springs Road, Santa Rosa. $15&–$20. 707.546.3600. 'Winnie the Pooh Christmas Tail' Join Winnie the Pooh, Piglet, Tigger and the rest of the beloved Winnie the Pooh characters in this musical holiday tale. Saturday&–Sunday, Dec. 11&–Dec. 19; Friday, Dec. 17; Monday&–Tuesday, Dec. 20&–21. Saturdays at 11am, 2pm and 7pm; Sundays at 2pm and 4pm; Friday at 7pm; Monday and Tuesday at 11am and 2pm. 115 North St., Healdsburg. $10. 707.433.6335. Ice-Skating Pavilion A transparent-roof tent and some seasonal ice skating goes along with walking-distance shops selling food and beverages. Dec. 11&–Jan. 2, from 11am to 11pm. V Marketplace, 6525 Washington St., Yountville. $12 adults. $8 children 8 and under. 707.944.8008. 'Willy Wonka' Santa Rosa Junior College performs its take on Roald Dahl's Charlie and the Chocolate Factory. Director Laura Downing-Lee takes audience members on a magical journey through Willy Wonka's chocolate factory with lavish scenery and music by Leslie Bricusse and Anthony Newly. Thursday&–Sunday, Nov. 26&–Dec. 5. Nov. 26 and Dec. 2&–3 at 8pm; Nov. 27 and Dec. 4 at 2pm and 7pm; Nov. 28 and Dec. 5 at noon and 4pm. Burbank Auditorium. 1501 Mendocino Ave., Santa Rosa. $10&–$18. 707.527.4343. 'The Nutcracker' Through Contessi Ballet and the North Bay Performing Arts Association, Michael Contessi Smith presents his production of the timeless holiday favorite with guest dancer David Bertlin. Saturday, Nov. 27, at 7pm and Sunday, Nov. 28, at 2pm. 5409 Snyder Lane, Rohnert Park. $15&–$25. 707.588.3400. 'Nightmare Before Christmas' Classic and Contemporary Dance with Tamara Gross bring Tim Burton's timeless movie to life onstage. Monday, Dec. 1, at 7pm. 5409 Snyder Lane, Rohnert Park. $15&–$20. 707.588.3400. 'It's a Wonderful Life' Rio Nido Lodge travels back to 1947 in this staged radio version of It's a Wonderful Life. Audience members are invited to dress in 1940s apparel and sing along with the cast during the finale. Dec. 3&–19; Friday&–Saturday, 8pm; Sunday, 2pm. Pegasus Theater. Rio Nido Lodge, 4444 Woods Road, Rio Nido. $5&–$15. Fridays, pay what you will. 707.583.2343. 'Mrs. Bob Cratchit's Wild Christmas Binge' In this spoof of A Christmas Carol written by Christopher Durang, the ghost narrates her journey with Ebenezer Scrooge. Dec. 3&–19. Thursday, 7:30pm; Friday&–Saturday, 8pm; Sunday, 2pm. 5409 Snyder Lane, Rohnert Park. $12&–$24. 707.588.3400. Just Dance Marin's Just Dance Academy performs and abridged version of The Nutcracker, followed by jazz, tap and hip-hop performances. Saturday, Dec. 4, at 1pm and 5pm. Showcase Theater. Marin Center, 10 Avenue of the Flags, San Rafael. $12&–$17. 415.499.6800. 'The Night Before Christmas' The Healdsburg Ballet presents a holiday favorite in which Christmas Eve comes to life to the strains of ballet, jazz and hip-hop in the 15th annual production of this event. Saturday&–Sunday, Dec. 4&–5, at the Raven Theater. Saturday at 7pm; Sunday at 2pm. 115 North St., Healdsburg. $10&–$15. 707.431.7617. 'The Nutcracker' The Stapleton Ballet presents its 22nd performance of The Nutcracker, featuring an all new battle scene. Saturday&–Sunday, Dec. 4&–5, at 1pm and 5pm. Marin Center's Veterans Memorial Auditorium. Marin Center, 10 Avenue of the Flags, San Rafael. $18&–$30. 415.499.6800. Mayflower Community Chorus This Marin institution directed by Daniel Canose showcases American, worldly and classical tunes. Friday&–Saturday, Dec. 10&–11, at 8pm. Showcase Theater. Marin Center, 10 Avenue of the Flags, San Rafael. $5&–$17. 415.499.6800. 'The Nutcracker' Ballet Califia's production features choreography from David McNaughton and Shelley Scott. The performance is accompanied by elaborate costumes and lavish scenery. Friday&–Sunday, Dec. 10&–12. Friday at 8pm; Saturday at 2:30pm and 8pm; Sunday at 2:30pm. Spreckels Performing Arts Center, 5409 Snyder Lane, Rohnert Park. $18&–$20. 707.588.3400. Twisted Christmas Live No. 8 The Bohemian's own David Templeton keeps Christmas weird with this offbeat alternative to the usual holiday fare. Political satirist Will Durst and international comedian Reed Martin help to craft the evening's event based on some classic short stories, as well as stories that they've written themselves. This year's event is also a benefit for the Redwood Empire Food Bank. Saturday, Dec. 11, at 7:30pm. The Glaser Center, 547 Mendocino Ave., Santa Rosa. $15&–$20. 707.338.6013. 'The Nutcracker' The Marin Ballet brings Tchaikovsky's time-tested and beloved ballet to life once again, in what has become a Marin tradition for the past 46 years. The Candy Cane Party after 1pm performances gives participants a chance to meet the cast, get their faces painted and take pictures. Saturday&–Sunday, Dec. 11&–12, at 1pm and 5pm. Marin Center, 10 Avenue of the Flags, San Rafael. $23&–$37. $5 for Candy Cane Party. 415.499.6800. Holiday Treat Ross Valley Players present their annual show full of sing-alongs, music, dance and comedy. Thursday&–Sunday, Dec. 16&–19. Thursday&–Saturday, 8pm; Sunday, 2pm. Ross Valley Players Barn Theatre. Marin Art & Garden Center, 30 Sir Francis Drake Boulevard, Ross. $10&–$20; $45 family package. 415.456.9555. 'The Nutcracker' Santa Rosa Dance Theater presents its annual holiday show. Friday&–Sunday, Dec. 17&–19. Friday at 7pm; Saturday at 2pm and 7pm; Sunday at 2pm. Spreckels Performing Arts Center, 5409 Snyder Lane, Rohnert Park. $20&–$25. 707.588.3400. 'The Nutcracker' Sebastopol Ballet presents 19th annual production, complete with 60 dancers and dancing unicorn. Friday&–Sunday, Dec. 17&–19. Friday at 7pm; Saturday at 2pm and 7pm; Sunday at 2pm. Analy High School, 6950 Analy Ave., Sebastopol. $10-$18. 707.576.3906. 'Sophie & the Enchanted Toyshop' Marin Dance Theatre performs this full-length, two-act children's ballet in which a magical toymaker whisks young Sophie away to a winter wonderland. A cast of 150 performers includes several special guest artists. Saturday, Dec. 18, at 1pm and 5pm; Teddy Bear Tea Party after matinee, $10. Marin Center, 10 Avenue of the Flags, San Rafael. $24&–$34. 415.499.6800. 'The Nutcracker' The New York Times has called this performance of the great Russian Nutcracker "vibrant, whimsical, charming and brilliant." The Moscow Ballet performs with unique settings, breathtaking costumes and original choreography. Saturday, Dec. 18, at 2pm and 7:30pm. Wells Fargo Center, 50 Mark West Springs Road, Santa Rosa. $27&–$47. 707.546.3600. 'Tapcracker' Sherry Studio presents its 11th performance of a hilarious take on The Nutcracker. Saturday, Dec. 18, at 2pm and 5:30pm. Showcase Theater. Marin Center, 10 Avenue of the Flags, San Rafael. $12&–$20. 415.499.6800. 'The Nutcracker' Napa Valley Regional Dance Company presents its 10th annual holiday recital. Saturday&–Sunday, Dec. 18&–19. Saturday at 2pm and 7pm; Sunday at 2pm. The Lincoln Theater. 100 California Dr, Yountville. $20&–$30. 707.944.1300. December Songs Los Angeles&–based vocal group Sonos performs songs off their recent album, mixing traditional holiday favorites with innovative original compositions. Saturday, Nov. 20, at 7pm. Maria Carrillo High School Theater. 6975 Montecito Blvd., Santa Rosa. $15. 323.661.7802. Meals on Wheels Benefit Concert Bay Area singer Michelle Schmitt performs her second annual holiday concert to benefit the Meals on Wheels program. The show features songs from Schmitt's new record that she and her band recorded this year, as well as some holiday classics. Thursday, Dec. 2, at 8pm. Throckmorton Theater, 142 Throckmorton Ave., Mill Valley. $20 general admission; $100 VIP admission. 415.383.9600. Big Bad Voodoo Daddy Archetypal swingers bring zoot-suit Christmas feel in special big-band holiday show. Tuesday, Dec. 7, at 8pm. Wells Fargo Center, 50 Mark West Springs Road, Santa Rosa. $37&–$47. 707.546.3600. Renaissance Glory Since 1976, the Festival Consort's musicians and singers have plucked the rhythms of Medieval times in this annual show. Soprano Carol Menke and countertenor Chris Fritzsche join an allotment of string players strumming from era-replicated instruments. Friday, Dec. 3, at 7:30pm (Petaluma Arts Center, 230 Lakeville St., Petaluma) and Sunday, Dec. 19, at 4pm (Church of the Incarnation, 550 Mendocino Ave., Santa Rosa). $15. 707.528.6370. Boogie Woogie Holiday Extravaganza World-renowned pianist Mitch Woods leads the boogie-woogie piano festival featuring four of his favorite pianists in a night full of foot-stompin' music. Saturday, Dec. 4, at 8pm. Throckmorton Theater, 142 Throckmorton Ave., Mill Valley. $21&–$30. 415.383.9600. Concerts by Candlelight Stephen McKersie conducts the Marin Symphony Chamber Chorus as chorus members will be situated in various points around the church, creating an antiphonal experience. Saturday&–Sunday, Dec. 4&–5. Saturday at 7:30pm; Sunday at 4pm. Church of Saint Raphael, 104 Fifth Ave., San Rafael. $25&–$30. 415.479.8100. James Barbour Holiday Concert Dive into the holidays with award-winning Broadway actor James Barbour, composer and musical director Scott Deturk and singer/actor/dancer Kimberly Jensen. Sunday, Dec. 5, at 7pm. Throckmorton Theater, 142 Throckmorton Ave., Mill Valley. $30&–$40. 415.383.9600. Christmas Jug Band Annual homegrown skiffle-style group play mini-tour of spirited shows. Thursday, Dec. 9, at Seahorse Restaurant, Sausalito; Monday, Dec. 13, at 142 Throckmorton Theater, Mill Valley; Friday, Dec. 17, at Palm Ballroom, San Rafael; Saturday, Dec. 18, at Mystic Theatre, Petaluma; and Tuesday&–Wednesday, Dec 21&–22 at the Woods, Mill Valley. Full info. and hijinks at www.christmasjugband.com. Raise the Youth The second annual Raise the Youth fundraiser features youth performances that highlight this year's musical productions. The fundraiser benefits the Marin Youth Performers. Friday, Dec 10, at 7pm. Throckmorton Theater, 142 Throckmorton Ave., Mill Valley. $30 students, $60 adults. Tickets include wine bar, holiday treats and auction entry. 415.383.9600. Cinnabar Choral Ensemble Directed by Nina Shuman, the Cinnabar Women's Chorus and Cinnabar Chamber Singers mix traditional yuletide tunes with ancient and modern music. Saturday, Dec. 11, at 8pm. 826 Middlefield Drive, Petaluma. $10&–$15. 707.763.8920. Sing-Along Messiah Sixteenth annual event raises joyful noise, on-key and otherwise, to Handel's indelible holiday tone poem. Saturday, Dec. 11, at 3pm. Sebastopol United Methodist Church, 500 N. Main St., Sebastopol. $6, individual; $15, family. 707.829.4797. The Yule Logs Marty, Kirt, Maurice and Jake play from their recently released sophomore album Walked with a Reindeer and their self-titled debut album featuring tracks like "Hanukkah Mambo." Saturday, Dec. 11, at 10pm. Ravenous Cafe, 420 Center St., Healdsburg. 707.431.1302. A Chanticleer Christmas Come celebrate this Bay Area tradition of Medieval and Renaissance works, traditional carols and moving spirituals. Sunday, Dec. 12, at 5pm. Napa Valley Opera House, 1030 Main St., Napa. 707.226.7372. Monday, Dec. 13, at 6pm and 8:30pm. St. Vincent Church, 35 Liberty St., Petaluma. $30&–$48. 415.252.8589. A Smooth Jazz Christmas Twenty-ten marks the 13th anniversary of this event featuring Dave Koz with special guests Brian Culbertson, Candy Dulfer and Jonathan Butler, who is new to the show this year. Tuesday, Dec. 14, at 8pm. 50 Mark West Springs Road, Santa Rosa. $39.50&–$69.50. 707.546.3600. Béla Fleck & the Flecktones Jazz innovators take holiday music to a whole new level in the Holiday Tour featuring Alash, with pieces ranging from a banjo-harmonic arrangement of "Christmas Time Is Here" to a virtuosic rendition of "Sleigh Ride." Wednesday, Dec. 15, at 8pm. 50 Mark West Springs Road, Santa Rosa. $27.50&–$67.50. 707.546.3600. Holly, Merry & Bright! Enjoy three concerts in one night as all of Napa High School's choir classes perform holiday classics. Wednesday, Dec. 15, at 6:30pm. Lincoln Theater, 100 California Drive, Yountville. $20 general admission tickets. 707.253.3705. Singers Marin Six youth and adult choral ensembles sing seasonal songs both secular and sacred in this harmonious holiday tradition. This year's performance highlights different global traditions and features Pacific Sticks percussion ensemble on world instruments. Sunday, Dec. 19, at 4pm. Marin Center's Veterans Memorial Auditorium, 10 Avenue of the Flags, San Rafael. $20&–$30; students and children half-price. 415.499.6800. 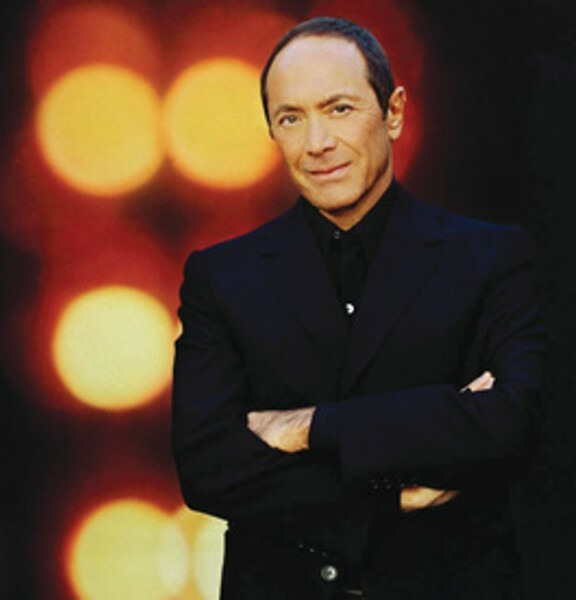 Christmas My Way World-renowned vocalist Paul Anka performs his own tunes alongside timeless holiday jingles. Wednesday, Dec. 22, at 8pm. 50 Mark West Springs Road, Santa Rosa. $45&–$99. 707.546.3600.